Built 1979, 15,834 Grt, Bahamas Flag. 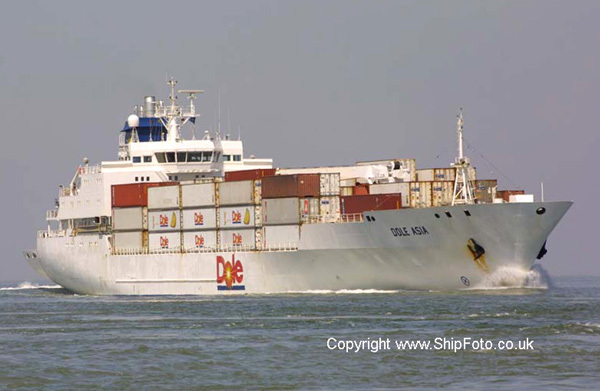 Photographed 25th June 2009 in the River Schelde, whilst on a voyage from Dover to Antwerp. 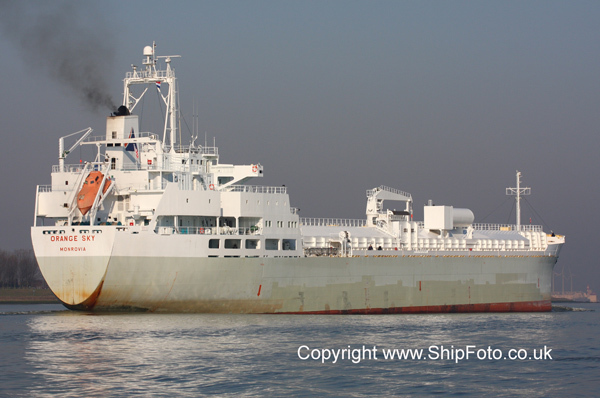 She was broken up shortly after this photograph was taken, arriving at Alang, India, in September 2009. Built 1989, 9072 Grt, Cyprus Flag. 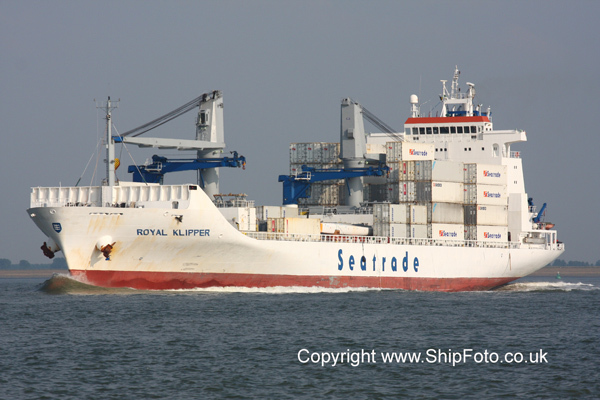 Photographed 30th July 2001 passing Terneuzen on the River Schelde, bound for Antwerp. Built 1971, 1361 Grt, Sierra Leone Flag. 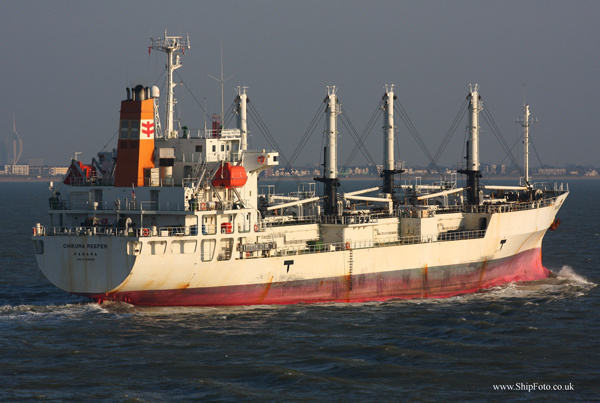 This Fish Carrier was moored in the anchorage at Istanbul on 25th June 2006, having arrived from Belgorod-Dnestrovskiy. Built 1992, 10629 Grt, Liberian flag. 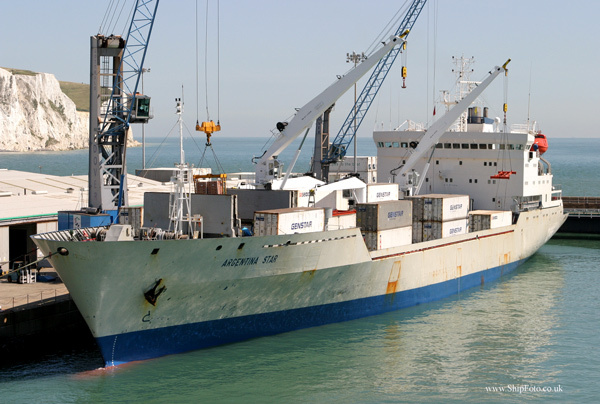 Berthed at Dover on 11th August 2007, having arrived that day from Dakar, Senegal. 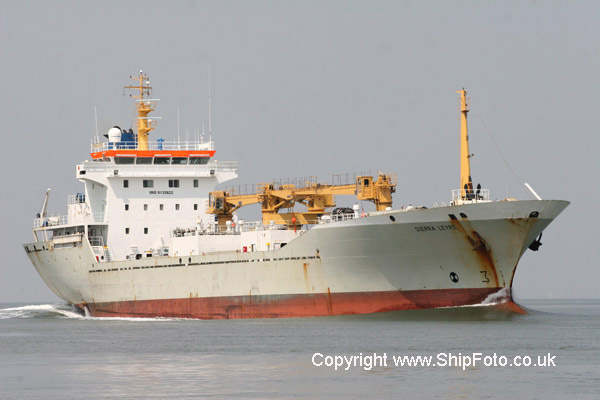 Subsequently departed on 11th August for Antwerp. Built 1999, 9649 Grt, Panama flag. 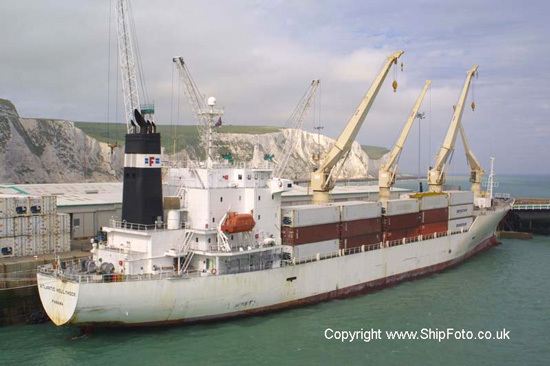 Berthed in Dover Docks on 22nd June 2002. Photographed during TSS Continental tour. Built 1983, 12,383 Grt, Bahamas Flag. 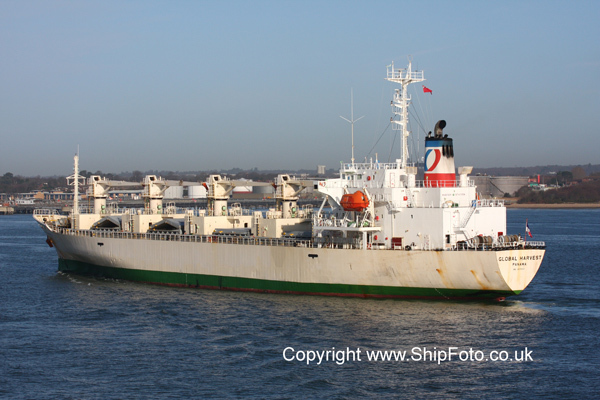 Arriving at Southampton on 5th April 2009, from Las Palmas, Canary Islands. Built 1998, 7367 Grt, Panama Flag. 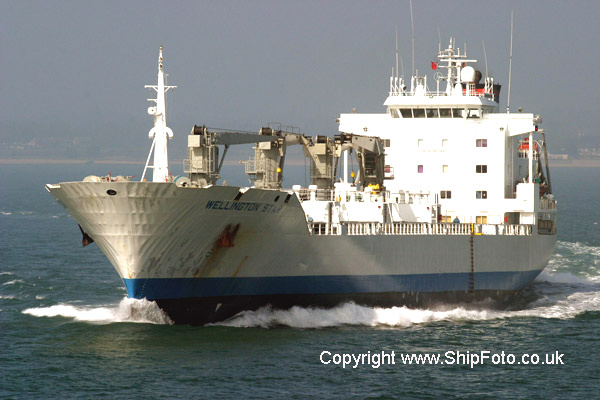 Photographed on 16th December 2007 in the Solent having departed from Southampton, bound for Rotterdam. Built 1998, 11733 Grt, Panama Flag. 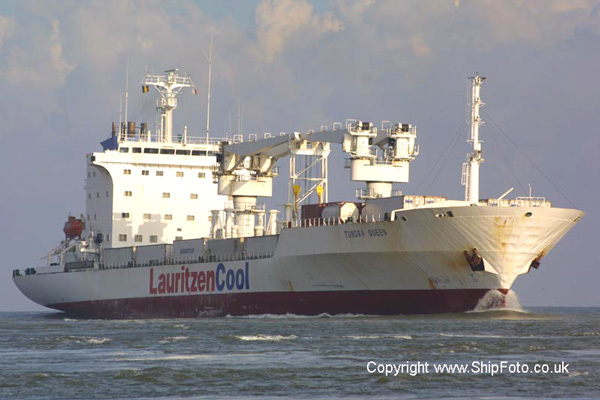 Top : Photographed 1st August 2003 passing Terneuzen, outward bound from Antwerp. 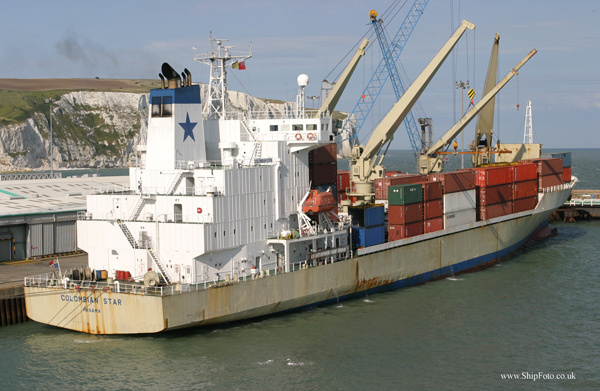 Bottom : Berthed at Dover, having arrived on 18th August 2007 from Dakar, Senegal. 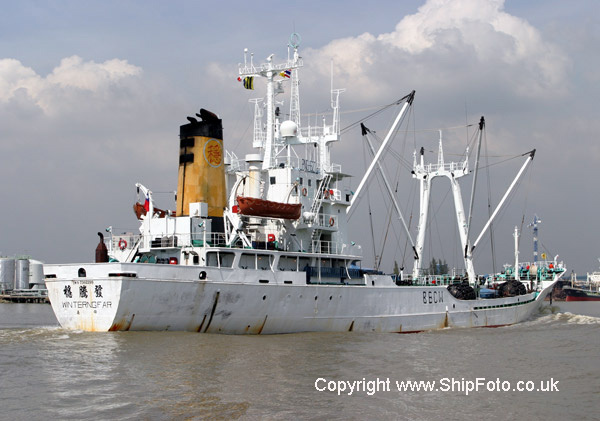 Subsequently departed on 18th August for Antwerp. Built 1998, 11345 Grt, Panama flag. 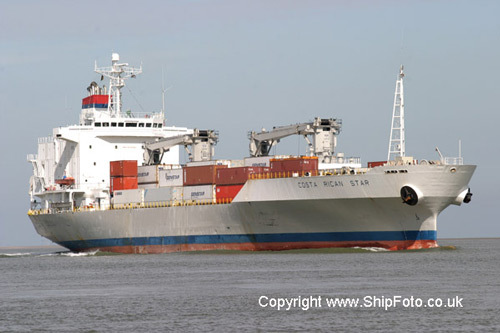 In the River Schelde, passing Terneuzen on 17th Aug 2004, bound for Antwerp. Built 1991, 7743Grt, Bahamas Flag. Photographed 3rd November 2001 departing from Southampton. Built 1994, 10584 Grt, Liberian flag. Inward bound from Portsmouth in the River Schelde, passing Terneuzen, bound for Antwerp Hansadok, berth 234/236 on 2nd June 2002. 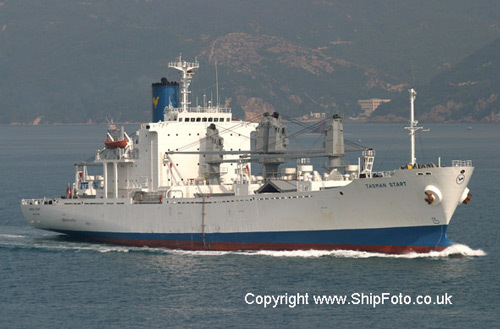 Departed on 4th June 2002 for San Juan. Built 1993, 14061 Grt, Bahamas Flag. 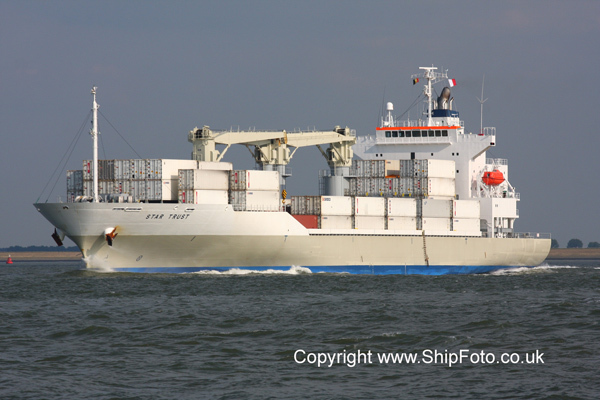 Photographed 8th September 2001 passing Terneuzen, bound for berth 206/208 Antwerp. 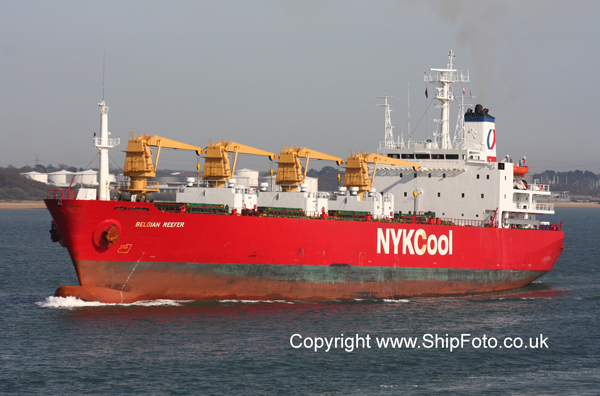 Subsequently departed from Antwerp for New York on 11th September 2001. 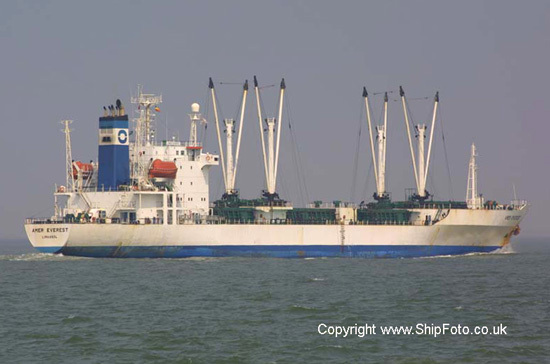 Built 1993, 8,520 Grt, Panama Flag. 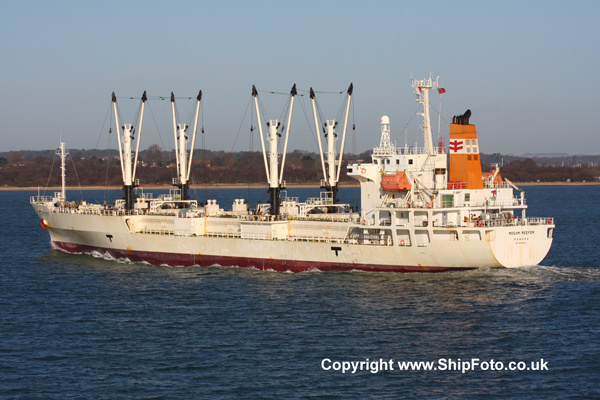 Arriving at Southampton on 21st January 2009, from Las Palmas. Built 1993, 8609 Grt, Vanuatu Flag. 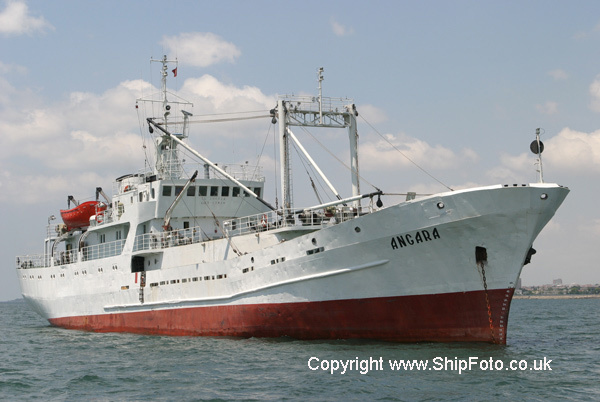 In the anchorage at Istanbul on 1st July 2006, whilst on a voyage from Izmir to Poti. Built 1985, 12411 Grt, Cayman Islands Flag. 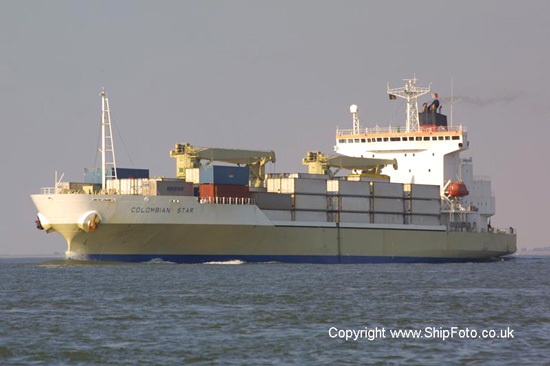 Photographed in the River Schelde on 2nd August 2001 passing Terneuzen, bound for berth 316/318, Antwerp. 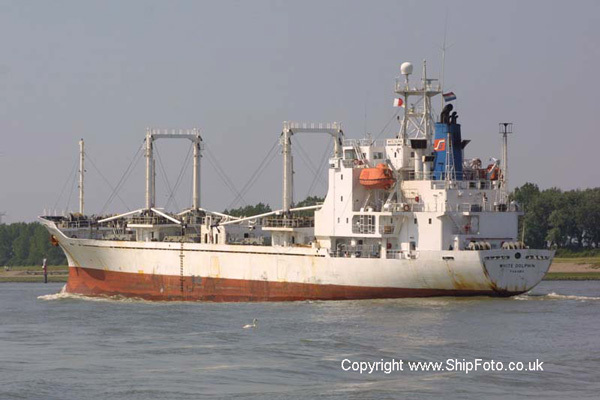 Subsequently departed for Rotterdam on 3rd August 2001. Built 1999, 7367 Grt, Panama Flag. 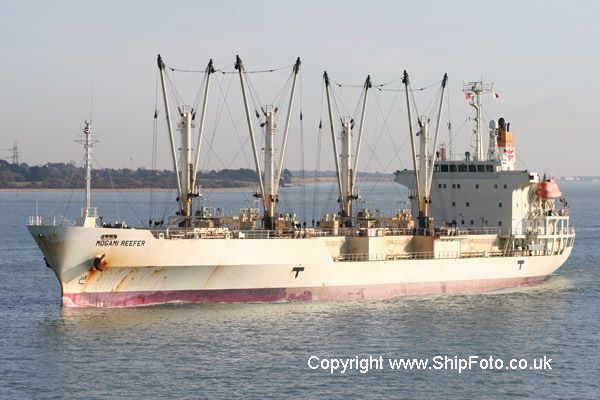 Top : Inward bound in Southampton Water on 20th November 2005, bound for 104 berth Western Docks, Southampton with a cargo of produce from Santa Cruz de Tenerife, Canary Islands. 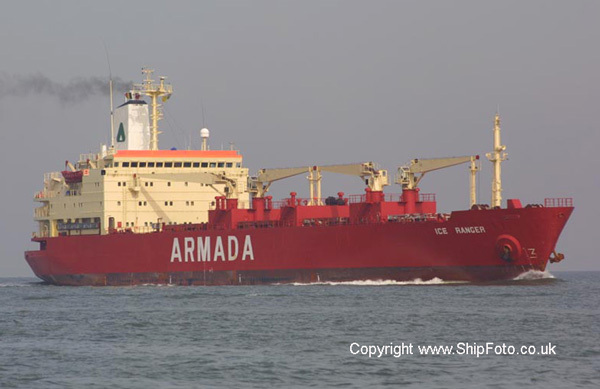 Departed for Rotterdam later the same day. 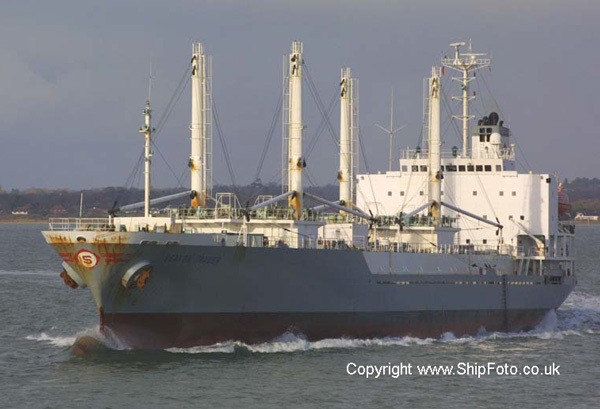 Built 2000, 22,063 Grt, Liberian Flag (Fruit Juice Tanker). 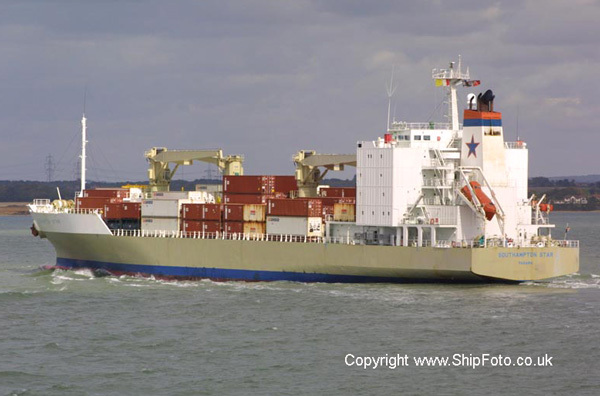 Outward bound in the New Waterway on 21st March 2009, having departed from Rotterdam for Santos, Brazil. Built 1979, 10371 Grt, Cyprus Flag. 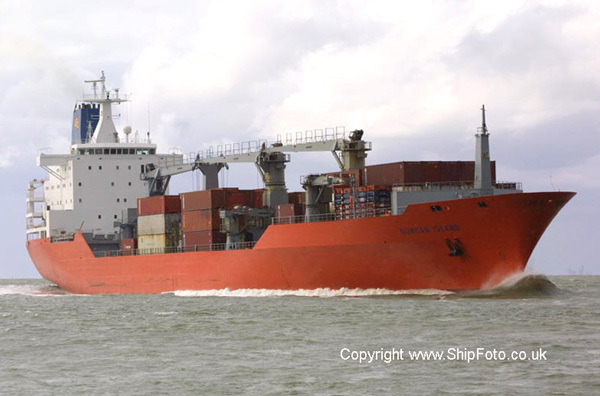 Photographed in the River Schelde, on 30th July 2001 passing Terneuzen, bound for Antwerp. Built 2003, 33005 Grt, Liberian Flag. 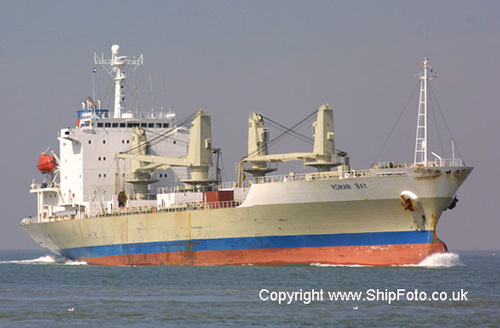 This Fruit Juice Tanker was photographed outward bound at Terneuzen Locks on 21st July 2006, having departed from Gent, bound for Santos. 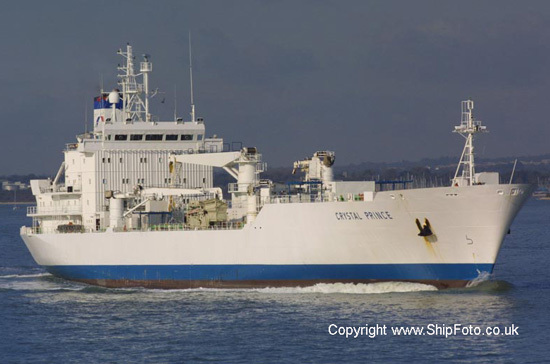 Previously arrived on 17th July from Zeebrugge. Built 1992, 10381 Grt, Hong Kong Flag. 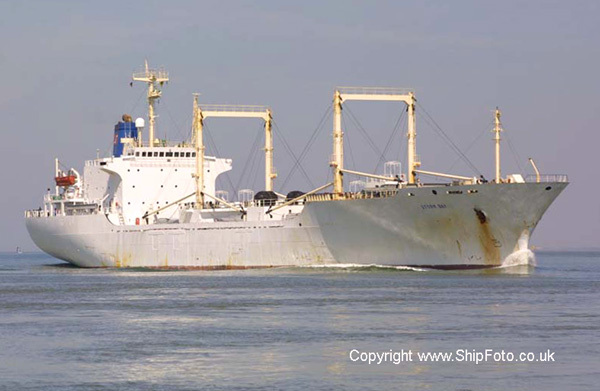 Inward bound in the River Schelde, passing Terneuzen on 6th September 2003, bound for berth 238, Hansadok, Antwerp. Arriving from Flushing. Departed on 6th September for Dunkirk. Built 2000, 11,382 Grt, Dutch Flag. 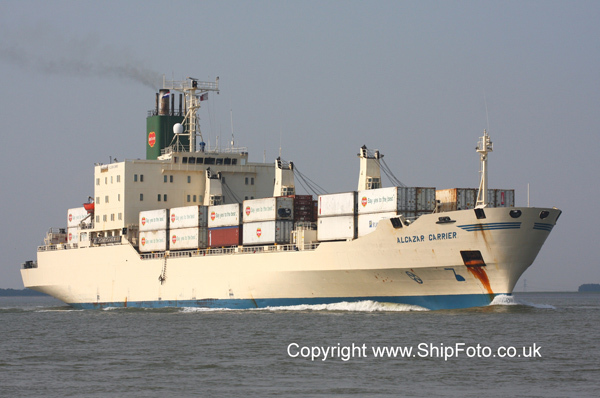 Outward bound in the River Schelde, on 25th June 2009, having departed from Antwerp, bound for Dunkirk. Built 1972, 14512 Grt, Bahamas Flag. 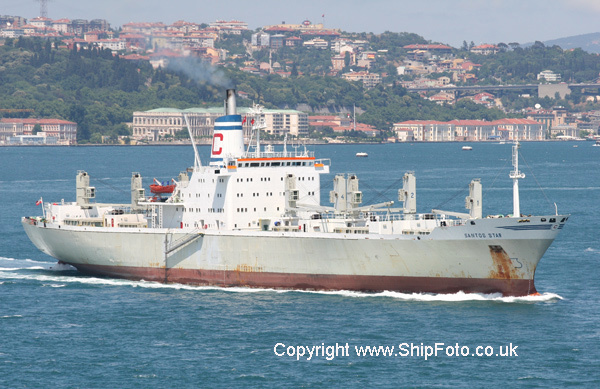 Underway in the Bosphorus, passing Istanbul, Southbound, on 25th June 2006, whilst on a voyage from Odessa. Built 1999, 7627 Grt, Philippines flag. Outward bound in the Solent off Calshot after departing from berth 104, Western Docks, Southampton on 24th November 2002. 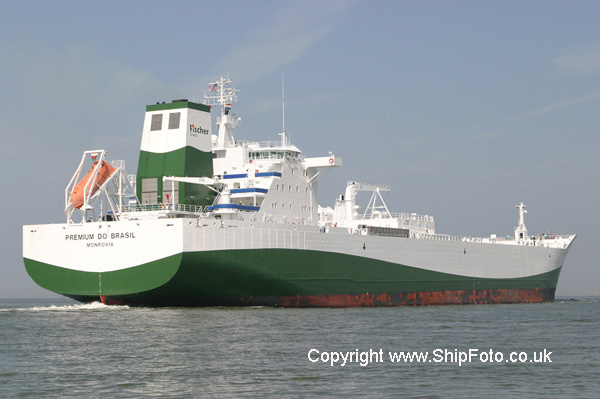 Built 1997, 5100 Grt, Panama flag. Inward bound in the River Schelde, passing Terneuzen, bound for Antwerp on 1st June 2005. Built 1981, 12061 Grt, Bahamas Flag. 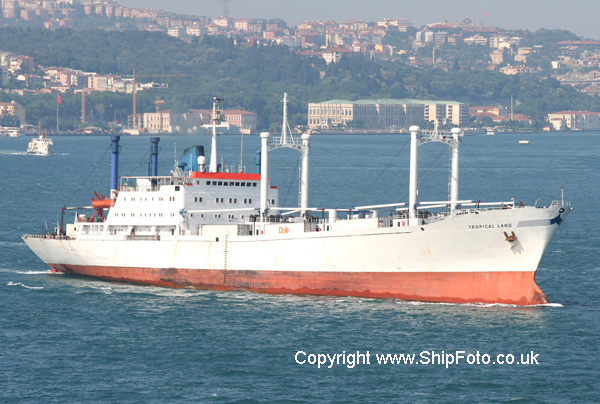 Transitting the Bosphorus on 24th September 2004, whilst on a voyage from Poti to Piraeus. Photograph taken during TSS Turkish Tour. Built 1972, 12595 Grt, Cayman Islands Flag. 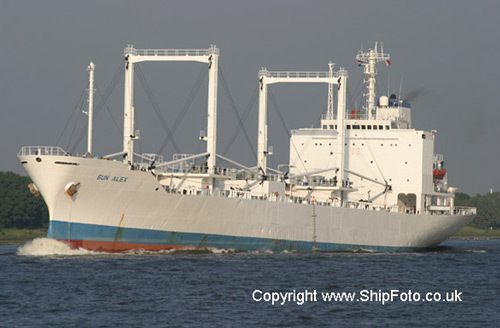 Outward bound in the River Schelde, passing Walsoorden on 20th July 2004 after departing from Antwerp. Built 1999, 10804 Grt, Panama Flag. Photographed 16 September 2001 arriving at Southampton. Built 2009, 14,030 Grt, Panama Flag. Outward bound in the River Schelde, passing Walsoorden, having departed from Antwerp, bound for San Juan, Puerto Rico. 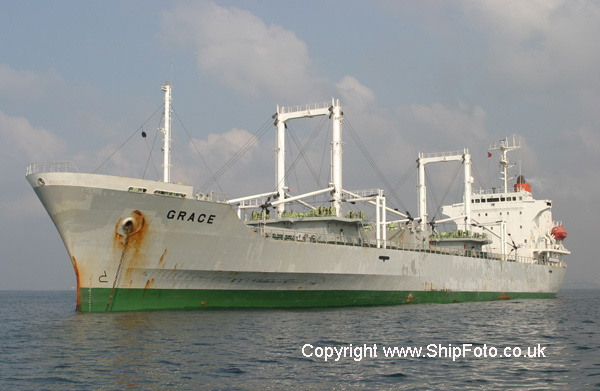 Built 1983, 10325 Grt, St. Vincent & Grenadines flag. Inward bound in the River Schelde, passing Terneuzen, bound for 316/318, 6e Havendok, Antwerp on 2nd June 2002. 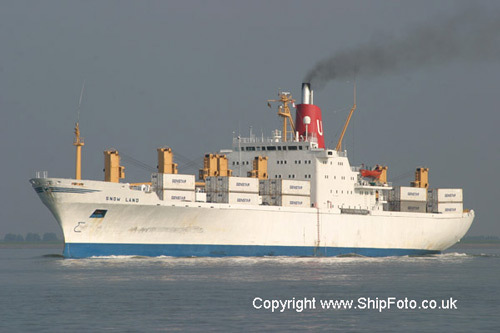 Departed on 3rd June 2002 for Rotterdam. Built 1984,12659 Grt, Bahamas Flag. Inward bound in the River Schelde, passing Terneuzen on 3rd September 2003, bound for berth 206, Leopolddok, Antwerp. Arriving from Rio Haina. Built 1984, 7736 Grt, Bahamas flag. Outward bound in the Nieuwe Waterweg, passing Rozenburg on 28th May 2004 after departing from Rotterdam. Built 1983, 9632 Grt, Cayman Islands Flag. 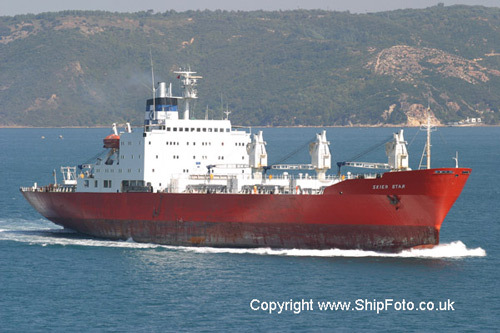 Transitting the Bosphorus on 22nd September 2004 whilst on a voyage from Mangalia to Gibraltar. Photograph taken during TSS Turkish Tour. Built 1972, 9932 Grt, Maltese Flag. Underway in the Bosphorus, passing Istanbul, Southbound, on 27th June 2006, whilst on a voyage from Bourgas to Gibraltar. Built 1991, 11658 Grt, Liberia Flag. 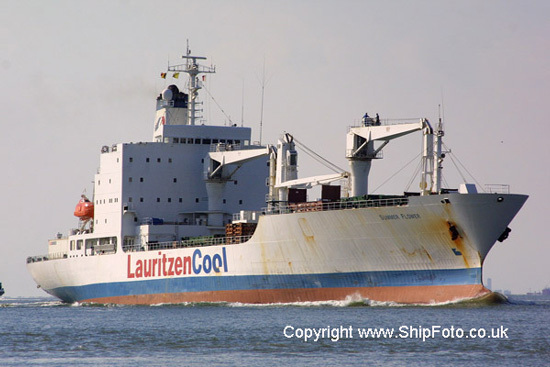 Photographed on 4th August 2001, passing Terneuzen on the River Schelde, bound for berth 238, Antwerp having previously departed from Flushing. Subsequently departed on 5th August 2001 for Cape Town. Built 1992, 7944 Grt, Bahamas Flag. Outward bound in Southampton Water having departed berth 104, Western Docks, Southampton, bound for Rotterdam on 20th March 2005. Previously arrived from Las Palmas. On the seasonal Canary Islands service. 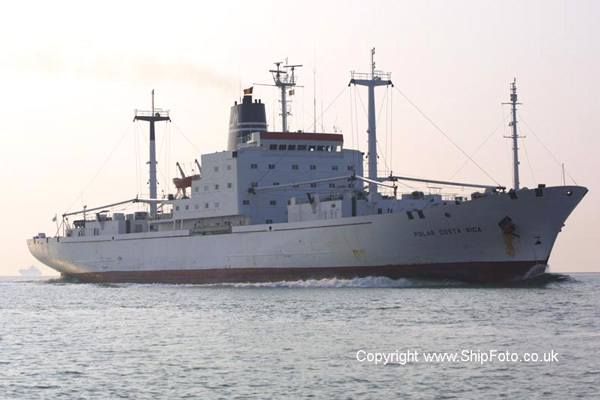 Built 1988, 5893 Grt, Panama flag. Outward bound in the Nieuwe Waterweg, passing Maasluiss after departing from Rotterdam on 17th June 2002. Built 1973, 2955 Grt, Taiwan flag. 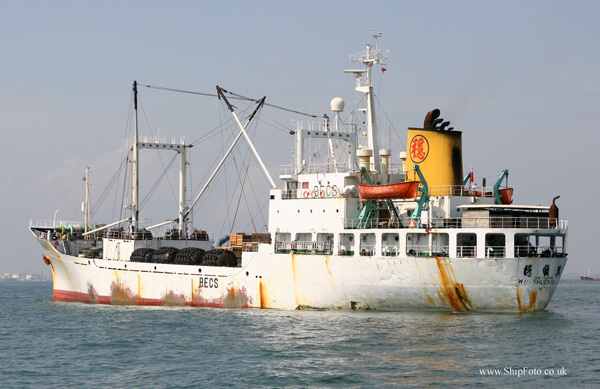 In the Western Anchorage, Singapore, on 28th September 2007, having arrived on 26th September 2007. Built 1973, 2910 Grt, Taiwan flag. Inward bound in the Chao Phraya River, Bangkok on 29th October 2005. Taken during the TSS Far East Tour.